I’m a trifle envious; always wanted to meet him; he seems like a fascinating person, outside his acting persona, and Spock was always my favorite. I always thought Spock should have decked Kirk a time or two, but I guess it’s hard to hit a friend, even when they’re being a stupid git…. thanks for the notice, now I can send him some good vibes…. 🙂 Live long and prosper! 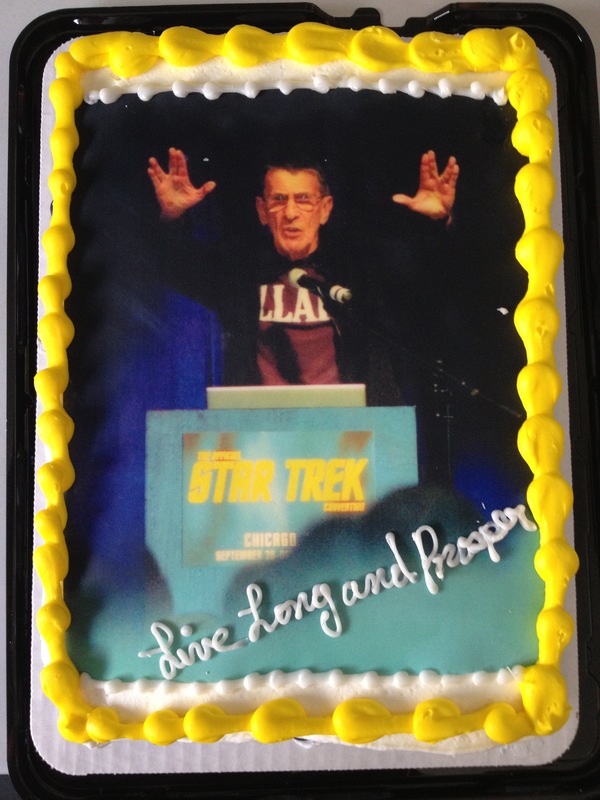 What a gorgeous cake and tribute to a notable man. Sounds as though his 81 years have been worthy. Very cool! I saw him last July. Wonderful man.